Chicken Enchiladas are a favorite at our house! So, a few weeks ago, I decided to take our traditional chicken enchilada recipe and switch it up a bit by cooking the chicken in barbeque sauce and adding black beans to the mix. The results worked great and the flavor combo was awesome! 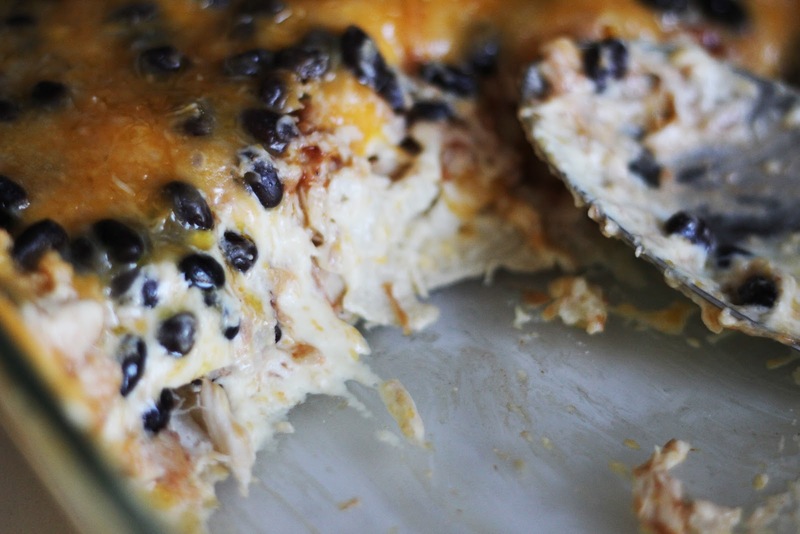 Follow the quantities and directions for our traditional Chicken Enchiladas. The only differences will be cooking your chicken in bbque sauce. 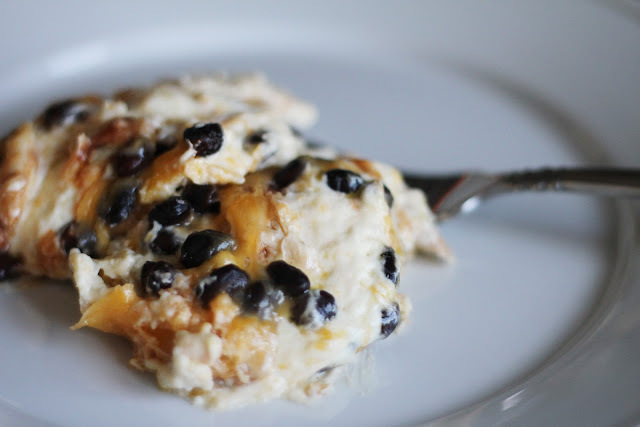 And instead of mixing the chicken in with the cream of chicken/sour cream mixture, you will spread a layer of the cream of chicken/sour cream on top of the corn tortillas followed by a layer of shredded bbque chicken and then a layer of black beans. Repeat one more time. Baking temp and time remains the same. You clever girl! Barbachoo enchilads, amen. I am going to LOVE these!! Yum!